This Wire Ball on Plinth Sculpture is made from mild steel which has developed a unique rust patina. 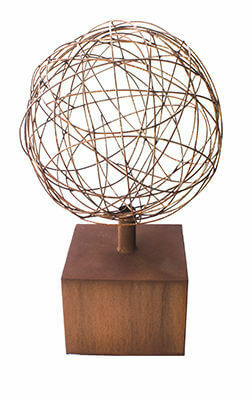 This Wire Ball on Plinth Sculpture is 650mm wide x 1100mm high. Please contact us for a delivery quote to your area.